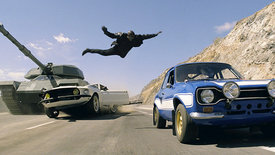 Chris, the 5 year-old screenwriter cited by The Onion as the screenwriter for Fast Five, claimed in a 2011 interview that the Fast & Furious franchise had enough material for 600 sequels. The satirical clip might be on to something after Fast & Furious 6 opened at the U.K. box office last week with $13.2 million ahead of this weekend's global day-and-date expansion. The Fast & Furious franchise is a perfect example of how today's blockbuster films are developed with global box office numbers in mind. The original cast was reunited in 2009 with Fast and Furious after an international spin-off, 2006's The Fast and the Furious: Tokyo Drift, failed to gain any significant traction. With the pieces in place and renewed popular interest, Universal set out to retool the franchise -molding it into a global heist thriller; the obnoxious, loud patrimony derived from the comparatively compact and effete legacy of The Italian Job (1969). 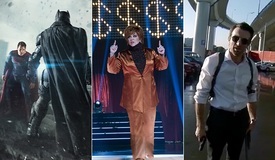 The focus of the films went from the niche world of street racing to the more accessible heist thrillers that can pull in a wider audience by including action sequences and higher narrative stakes. The franchise embraced the globetrotting exoticism that adorns James Bond films by setting the fifth entry in Brazil, with a vibrant soundtrack and marketing campaign to match the allure of Rio de Janeiro. Dwayne "The Rock" Johnson joined the cast to add global box office clout to the film's star power. 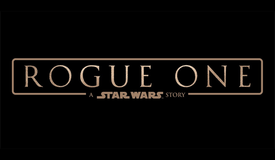 The previous entry in the franchise grossed a series-best $628 million globally, including an eye-opening $418.7 million take. Fast & Furious 6 has the potential to be one of the summer's biggest hits and has its sights set on a $500 million overseas cume. Whether or not it gets there will largely depend on the film's staying power. A market-leading opening weekend is all but assured, but the film will have to retain viewers through the coming weeks if it wants to meet the lofty expectations set by Fast Five. The trailer for Fast & Furious 6 features exotic locales, Dwayne "The Rock" Johnson, a globe-trotting storyline, Vin Diesel saying "That's the deal: take it or leave it," explosions, men with big muscles wearing tight and/or sleeveless shirts, car chases, attractive women in short skirts, a tank, Ludacris, more car chases, Michelle Rodriguez asking if you believe in ghosts, and a car chasing an exploding airplane. Fast & Furious 6 will open in North America and over 50 overseas markets throughout the weekend. The biggest performers out of the gate promise to be Russia, Brazil, and Mexico. Key markets like Australia, China, and South Korea are coming up later this summer. Epic expands beyond Latin America with a $19.9 million head start. The animated film will hit theaters across Europe and the Middle East this weekend, including key markets like France, Italy, and the United Kingdom. 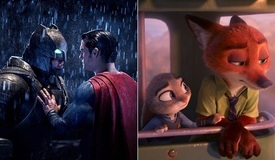 Epic will become the first animated film to hit screens in the last two months for most territories, hoping to catch some of the windfall from the The Croods' $376 million overseas run. Poor Reviews Won't Stop 'The Hangover Part III' in Australia and the U.K. 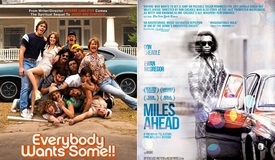 The Hangover Part III is opening in a handful of English-speaking territories this weekend, coinciding with the film's North American release. The Hangover Part III is the third (and reportedly final) entry/rehash in the trilogy about a group of grown men who wake up with headaches before going off on zany adventures that usually involve a zoo animal. Bad reviews have dampened some of the film's buzz heading into the weekend, a factor complicated by the previous entry's similarly poor critical reception. The Hangover Part III should be the frontrunner for the top spot in Australia and the U.K., benefiting from markets with few new comedies in release. 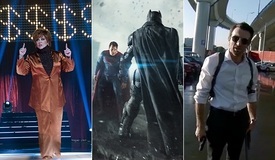 Follow Daniel Loria and BoxOffice on Twitter for more news on the global box office.